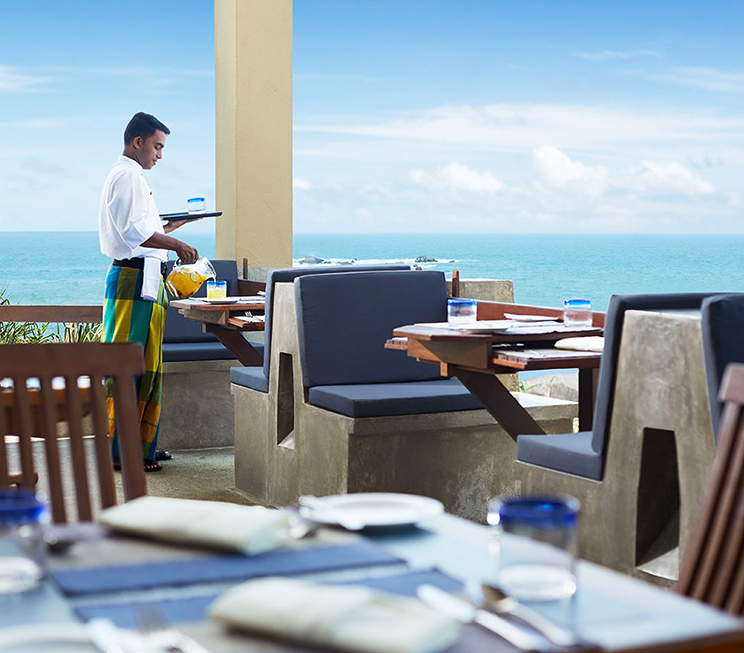 Lavishly complementing the luxurious accommodation at Jetwing Lighthouse, our home of Sri Lankan hospitality offers the indulgence of four unique Signature Dining options for memorable meals by the southern seas. 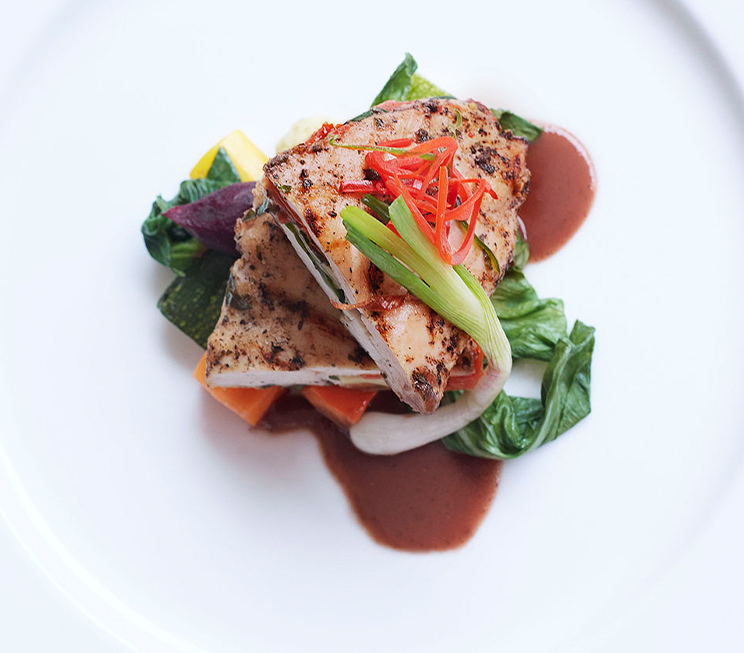 A specialty of our hospitality across the island, each of the six is designed to be an enchanting sensory experience with mouthwatering meals set against stunning backdrops. 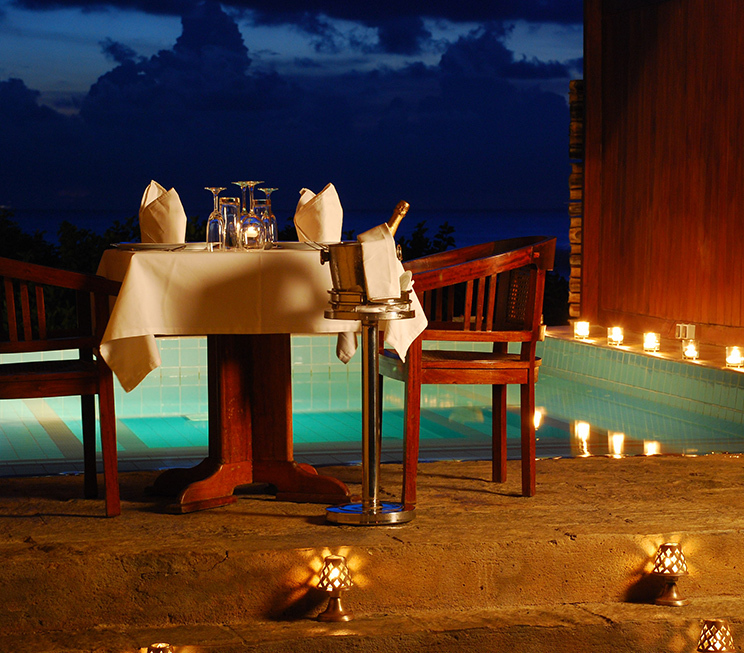 Be it as a private BBQ for two among our coastal rocks, or as a champagne breakfast overlooking the ocean, and even as a romantic dining experience in the spa, or simply from the comforts of your own room. 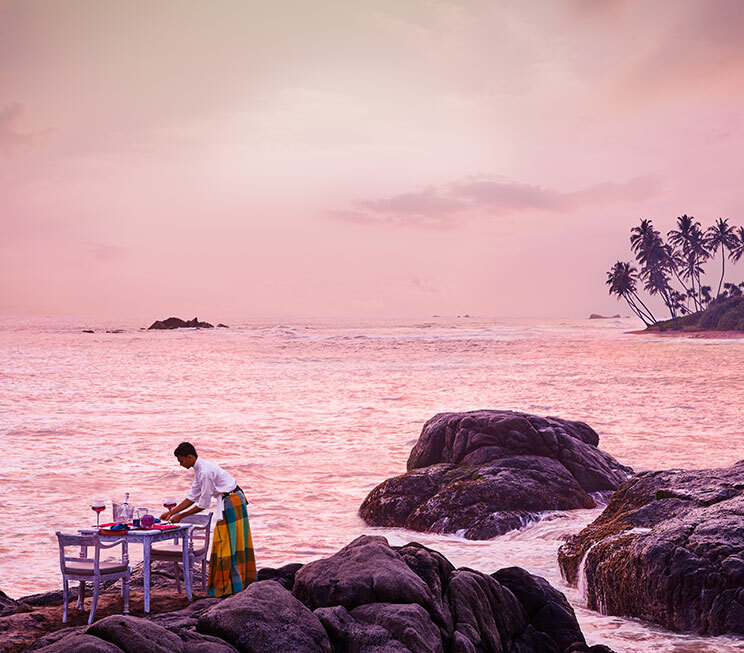 Sit amidst the gentle seaspray on the rocks that dot our coastline, with a private BBQ for 2 complete with your own chef and server as a pleasure of our hospitality. Wake up with a flute of champagne on the sunny south coast, as part of a lavish breakfast on the open-air restaurant balcony that overlooks the Indian Ocean. Indulge in a couple’s retreat in the tranquility of our spa, where luxurious treatments are followed by a private dinner in our secluded haven by the sea. Enjoy your meals within the comfortable isolation of your luxurious room at Jetwing Lighthouse, where you can feast on our array of culinary delectables in absolute privacy.